E.A. Hughes & Co., a division of Solomon Page, places Deb Henretta to the Board of Directors of American Eagle Outfitters. Her broad experience will help drive continued growth and momentum of the American Eagle and Aerie brands. American Eagle Outfitters continues to stay on top of the trends. In addition to recently surpassing $1 billion in sales during a single quarter, the teen apparel and accessories retailer is adding a new face to its board. Effective Thursday, Deb Henretta is now on the company’s board as an independent director, making the total number of women on the committee three out of eight. “We look forward to benefiting from her insights,” Schottenstein added. 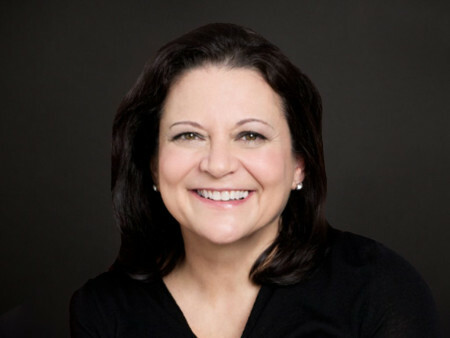 Henretta’s 30-year résumé in the consumer products industry includes a stint at Procter & Gamble as group president of global e-commerce and president of global beauty care. She is also on the board of a number of other organizations, including technology company Corning and real estate firm Meritage Homes. The seasoned retail executive said she’s “thrilled” to join American Eagle’s board and the chance to work with Schottenstein. “It will be a privilege to help drive continued growth and momentum of the American Eagle and Aerie brands,” said Henretta, who hopes her experience in branded consumer goods and digital transformation, as well as on other boards, will help shape the customer experience at American Eagle for the better. “Both American Eagle and Aerie are pushing the boundaries of innovation and speaking to the values of their target customers,” she said. American Eagle’s existing female board members are Sujatha Chandrasekaran and Janice Page. The addition of Henretta comes at a time when companies are being pressured by shareholders to rethink their top-level talent. Straddled with #MeToo woes, Guess Inc. added two female board members as independent directors last November. Nike, also no stranger to #MeToo publicity, gave Heidi O’Neill, president of Nike Direct, an updated title the following month. O’Neill, one of Nike’s highest-ranking female executives, is now in charge of not only retail stores and the web site, but also oversees digital products and services. Still, a lack of female board members throughout the retail industry remains evident. Footwear company Skechers, for example, does not have a woman on its board. “It is exciting to see more women earning their way into the boardroom and into leadership positions on these boards,” she said, but admitted that the challenges of creating diverse leadership teams in the retail industry are far from over. “While there is good progress, there is still more work to be done so that today’s boards and management teams better reflect the diversity of the consumers they serve,” Henretta said.